It rained. A lot. For consecutive days. And in L.A., that is news in and of itself. But on top of that, our Los Angeles public school teachers went on strike. The last time teachers resorted to a strike was back in 1989. I was in junior high school (back then it wasn’t called middle school like it is now), and the strike lasted 9 days. This strike is different. At least for me. 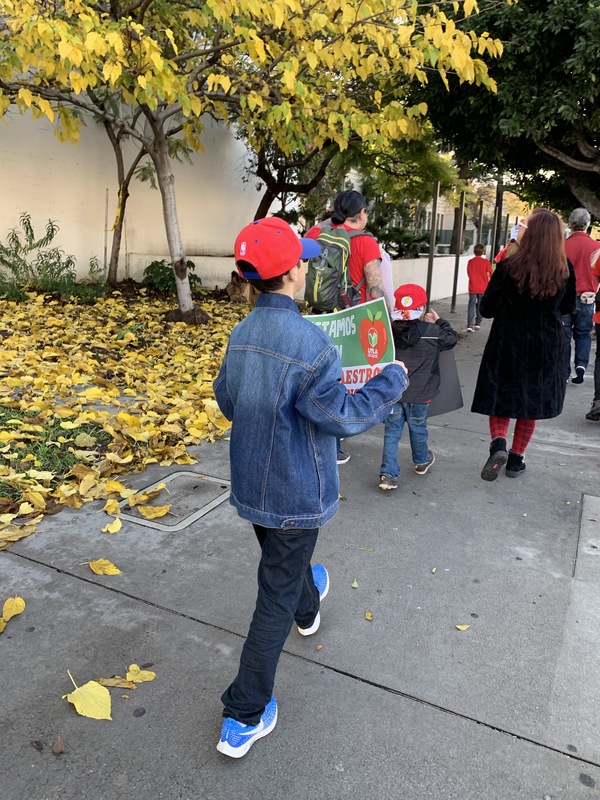 This time around, I view the strike through the eyes of a former public school student, a former public school teacher, and a current public school parent. Much of what our teachers are fighting for hasn’t changed since the last strike. Our teachers want what is best for our children. Smaller class sizes. Less testing and more teaching. More support staff, including a full-time nurse each day. Our public school classrooms are marvels. I miss the magic of being in a classroom with a group of children and seeing that spark, seeing that light bulb go off, seeing the understanding. There is nothing like it. 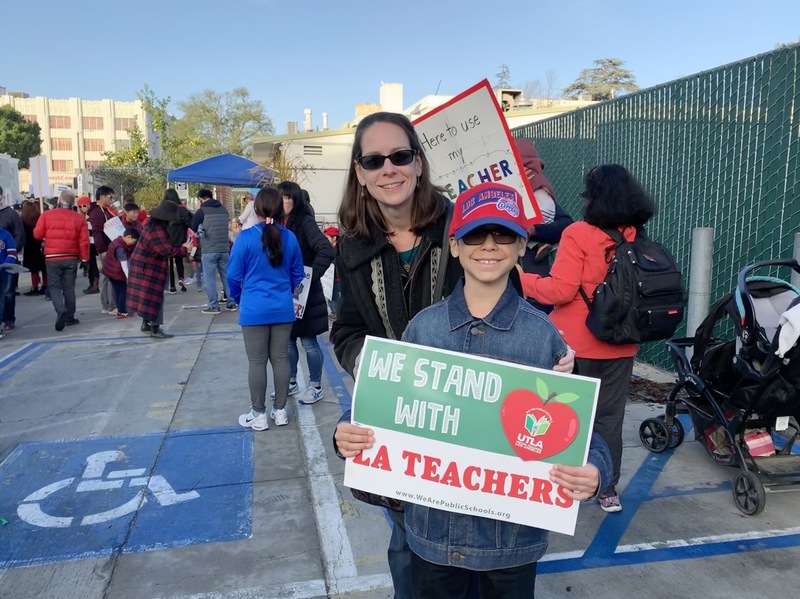 Our teachers don’t want to be outside their schools picketing. They want to be inside their rooms teaching. The sooner, the better. My personal essays appear in these anthologies. Last year, I wrote a blog post stating my intention to make my writing my year’s focus. (Click here if you missed it. And an update: the anthology I mentioned in last year’s post has been delayed but hopefully will be published later this year). So, a week into the new year, I thought it only fitting to reflect on 2018 and see how I did. Did I focus on my writing? Yes, most of the time. When my son is home during breaks from school (we just finished up a three-week winter break), my writing time is drastically reduced. 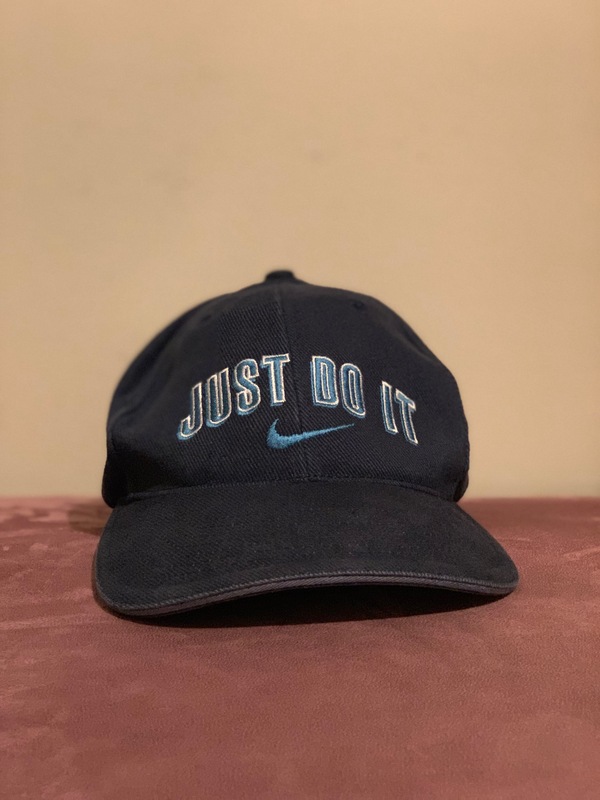 A blog post a week. And I’m especially proud of re-focusing this blog and concentrating my posts on one of the 3 most important B’s in my life: boys (or children in general, based on my teaching experiences and raising my son), books (a writer must also be a reader), and bodies (specifically living with an autoimmune disease). 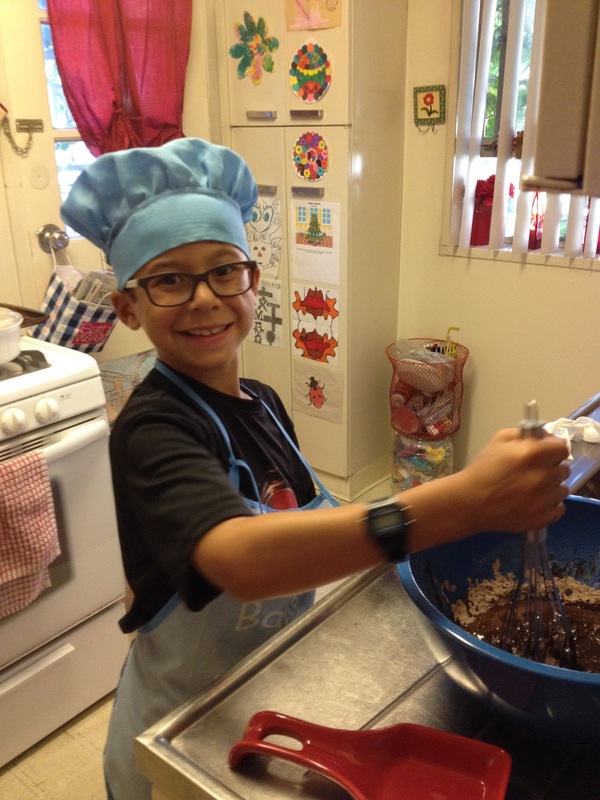 I continued to be a regular contributor for MomsLA.com, often writing two posts per week. I completed a course in the UCLA Extension Writers’ Program. I wrote multiple personal essays, and I published a dozen of them on sites such as TheMighty.com, parents.com, RoleReboot.org, Breath and Shadow, and mother.ly. So what’s in store for this year? More of the same. A focus on my writing, specifically my essays describing my experiences living with an invisible disability. 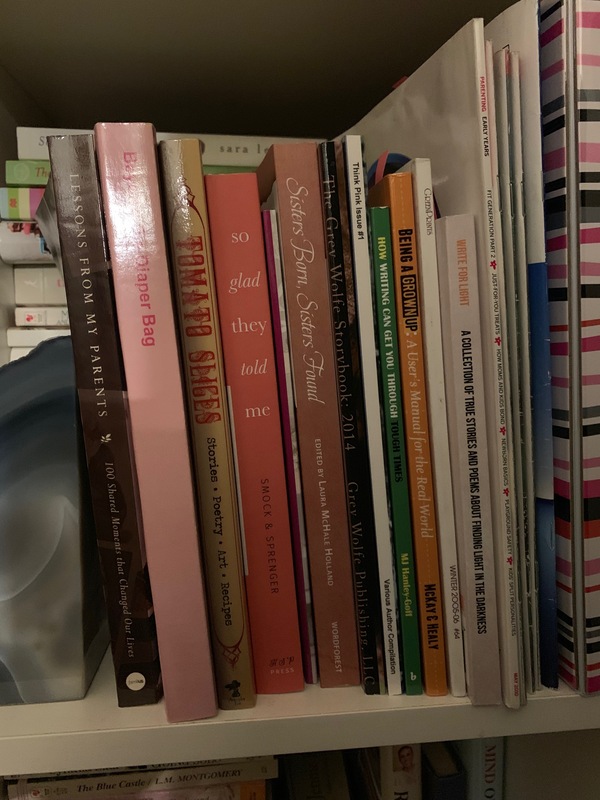 On my bookcase, there are several anthologies that don’t have my name on the cover, but do have my name inside – on a contributing essay. And like I’ve told my son, one day, there will be a book on our shelf where my name is on the cover. That’s what I’m working on this year. So this week I’ll write about another Backbone. 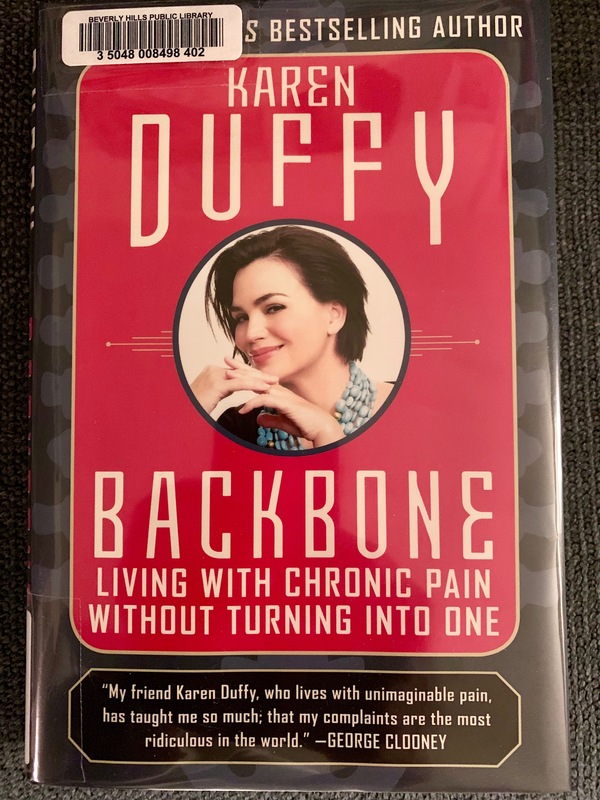 I recently completed reading Karen Duffy’s memoir, Backbone – Living With Chronic Pain Without Turning Into One. 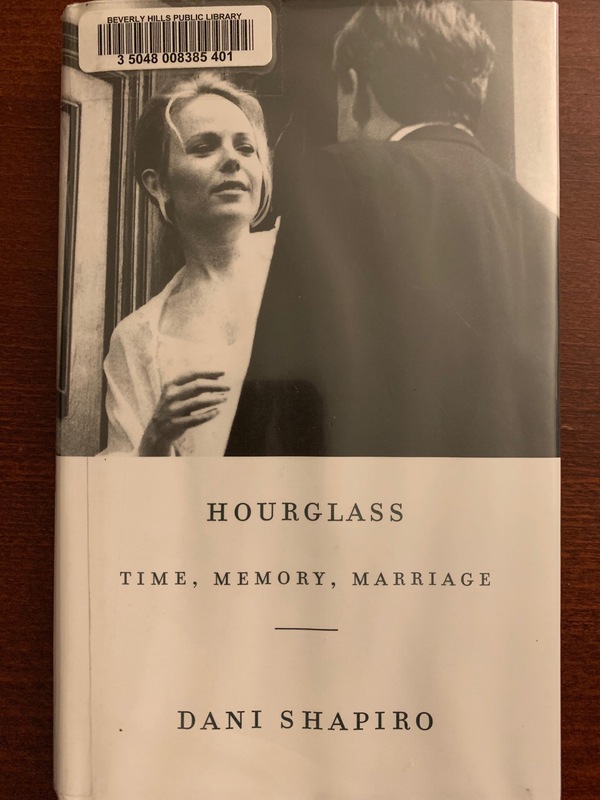 There aren’t many books out there by and about people living with chronic medical conditions (though I’m working on my own) so I was instantly intrigued to discover this one. After answering the questions, it was determined that I am a frog. Let me back up and explain that first sentence. One part of the exhibit involved an interactive activity where visitors use a touch-screen to answer simple questions. 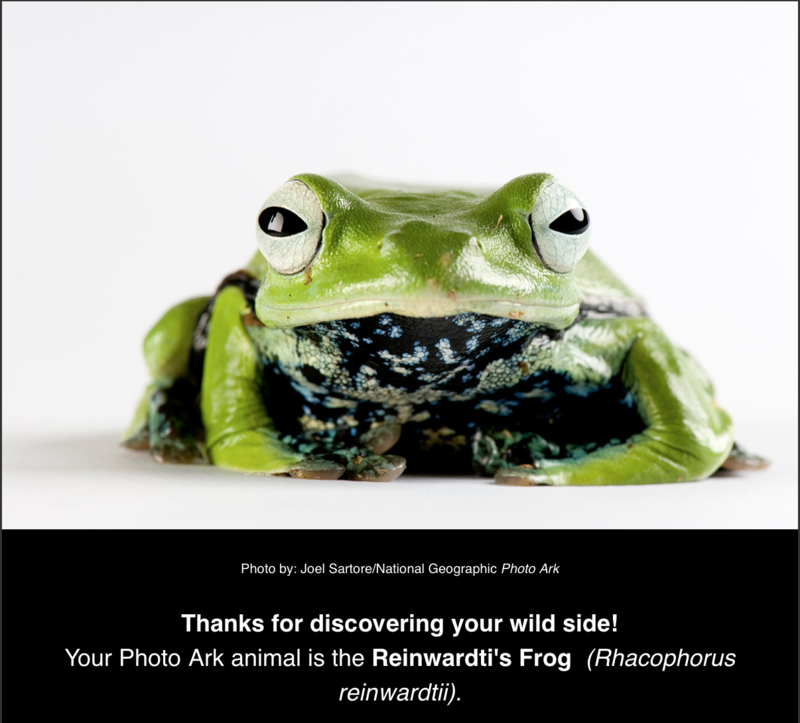 After making it known that I was an early riser and not a night owl, preferred a beach area to a snowy area, and would rather play with stuffed animals than video games, (there were other questions too), the determination was made that my Photo Ark animal was the Reinwardti’s Frog. I’m not sure how I feel about being a frog. (My son was also a frog; my dad was a toad). I think of frogs as slimy. As bug-eating. As noisy. As the dead creature I had to dissect back in seventh grade biology class. You don’t often think of frogs and their backbones. And maybe people don’t always think of me as being tough either. But if I’ve learned (and am still learning) anything during these years with a chronic medical condition, it’s that I am indeed tough. 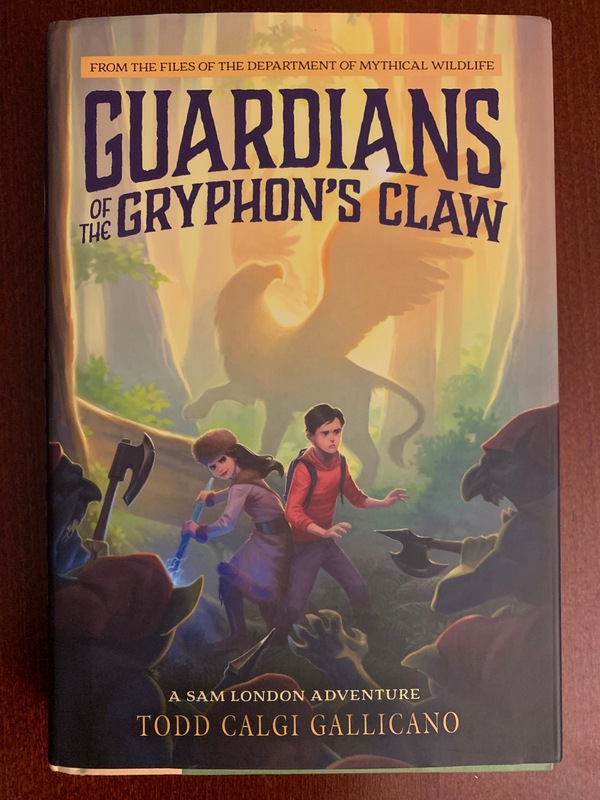 My ten-and-a-half year old son received an early Christmas gift last week from a friend of the family. Well, she’s not just a friend of the family. Several years ago, she and I taught at the same school. Now she teaches at Ryan’s elementary school, and two years ago, she was his third-grade teacher. The gift was a surprise to us both. It was wrapped, so as Ryan looked at it and felt it, he first thought it was an iPad. It would have been an incredibly generous, though unlikely, gift. But in his mind it was the right size. It wasn’t an iPad. It was a book. 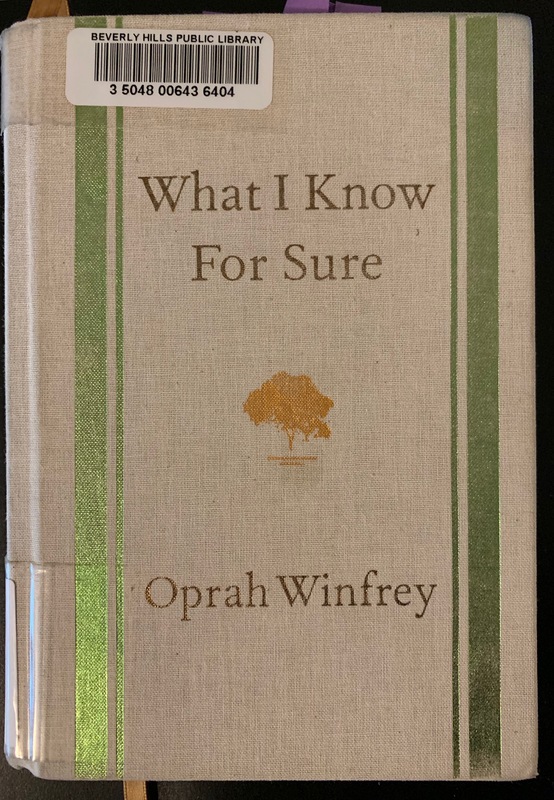 A hardcover book. 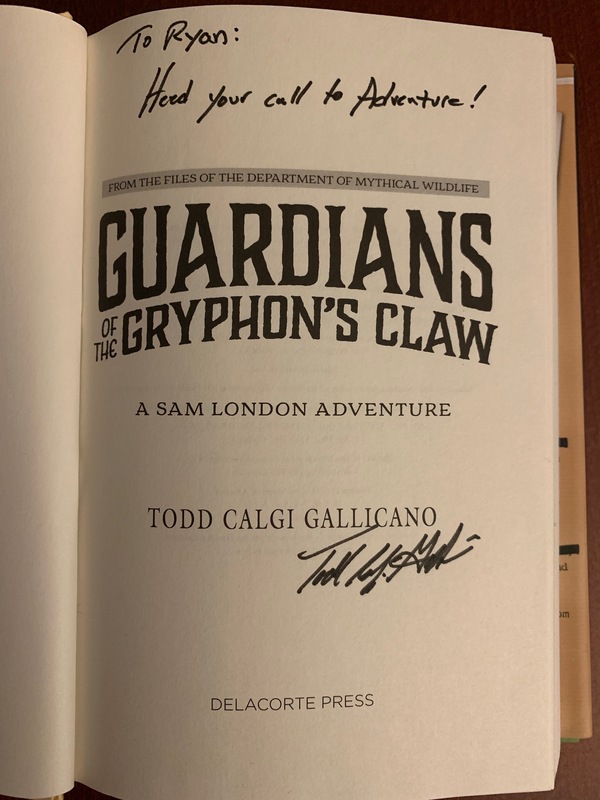 A hardcover book signed by the author. A hardcover book signed by the author and inscribed to Ryan. Ryan loves it so much he whooped and hollered around the house. He proudly showed it off. I don’t think it’s a book Ryan would have picked up on his own had we just been browsing at our local Barnes and Noble or public library. But because his teacher selected this book for him, because his teacher asked the author to sign the book for Ryan, Ryan is reading it. It’s a beautiful testament to the power of books and putting a book in a child’s hands. I have just completed “Creative Nonfiction III,” a ten-week writing course offered through UCLA Extension. And, I didn’t complete all my homework. In addition to workshopping essays every other week, each student was supposed to read a book a week. There was no prescribed reading list. We were simply to read one book each week of class. And I didn’t. When I’ve taken this course in prior years, I diligently completed all my reading homework. I calculated the minimum number of pages I needed to read each day to make sure the book would be finished on time. It was stressful. I’d power-read, just trying to get the book finished without truly enjoying what I was reading or paying attention to the author’s tone or the book’s structure. So with this class, I decided I wasn’t going to do that again. I would try to read a book a week, but if it didn’t happen, so be it. There is no negative consequence. I wasn’t taking this class for a grade. I was taking it for me. I pushed myself during this class, writing in a couple of new styles, writing on different topics. And I slowed myself down to enjoy what I was reading. I may not have finished ten books in ten weeks, but overall, I did pretty well. And I’m currently reading. 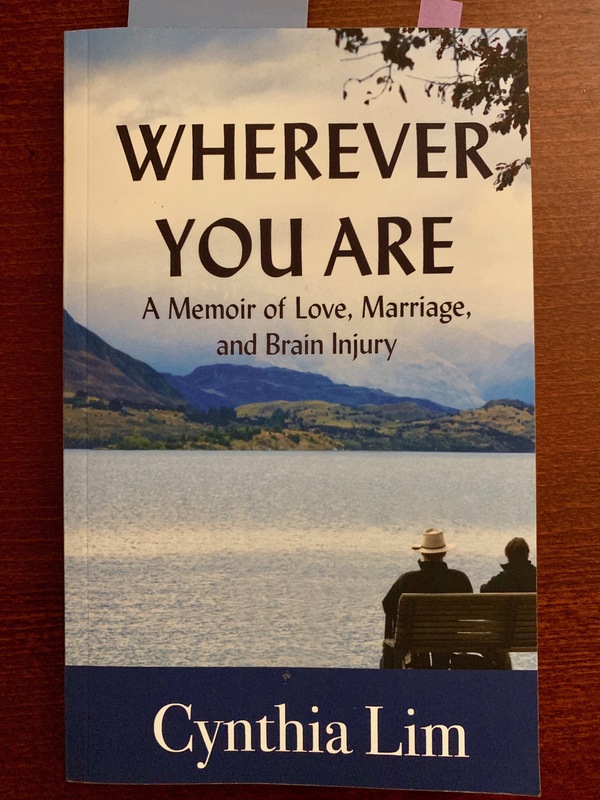 Wherever You Are: A Memoir of Love, Marriage, and Brain Injury by Cynthia Lim (an author I first met through a Writers Retreat and who has also taken classes through UCLA Extension). Readers, I’d love to hear about any books you’ve read in the last ten weeks. Feel free to share in the comments section!